Bed Bug Bully is a popular all natural spray that people use in their war against the bed bugs all around the USA. But we ALL know how ridiculously stubborn a bed bug infestation can be. Is it possible to actually beat these bugs with this stuff? To kick off this review I want to layout our rating and some product highlights, then dive into more specifics. Bed Bug Bully claims to kill the bugs that it makes contact with and at all stages of their life cycle. It’s odorless, non-staining, and safe to use in your bedroom before you go to sleep. You can also use it around pets and children. "A decent bed bug killer... but not the best." More than half of the people on Amazon, my friends and family included, have had success with Bed Bug Bully. They also say that the residuals last for up to a month after. The rest of the people say it’s useless and it doesn’t work, which is supported by various scientific studies. The spray kills on contact when you apply directly onto the bugs. This sounds good in theory, however, most bed bugs are hidden deep in your mattress or cushions. Users also say that it doesn’t kill the eggs. This means the spray has the potential to control the adult population if it makes contact with them. Yet, the new eggs will repopulate in no time at all. I gave it a three-star rating because around half the people that use it say it works for them on small to medium sized infestations. The rest of the users aren’t as lucky. As mentioned above, it works for some and is useless for others. Let’s have a look at some of the pros and cons of Bed Bug Bully. Odorless, non-toxic, and child and pet-friendly. Kills at all stages of the life cycle (apart from the eggs). It doesn’t cause strain or damage furniture. You can mix it with other cleaning products. Fast and easy to use in a spray bottle. It only kills the bugs that it makes contact with. No effect on the eggs. Expensive and you need to use on a regular basis. The spray isn’t as effective in cold weather child. Bed Bug Bully is non-toxic and safe to use inside your house and around pets and family. It kills bugs at any stage of their life cycle from larvae to adult. Yet the spray is a contact killer and most of the bugs are hiding. It’s ineffective against the eggs, which means the problem will probably return. Below are some of the key features of this product and what makes it unique. You can easily apply the spray in the same way that you do with other cleaning products. The liquid can also be combined with other cleaning products to make it easier to use around the house. Some people mix and use it simultaneously with carpet shampooer. Another feature is that it’s non-odorous and doesn’t stain. This uses a combination of natural oils that are toxic to bugs but are safe to use around humans and animals. This makes it child and pet-friendly. It’s a great feature because you won’t need to leave your house for several hours after you spray it. Other toxic products leave a lingering odor and residue that can be hazardous to your health. The liquid is a contact killer. This is great if you know where they are, but you need to remember that most are buried deep into the cracks and crevices of your home. The residual effects can kill bed bugs for up to 30 days. It’s also recommended that you use the spray three or four times over a period of a few weeks to get the most benefits. This is quite long compared to other sprays. You can use Bed Bug Bully for both indoor and outdoor use. If the infestation spreads, some can survive outside. It’s imperative that you control them or they’ll come back inside and the infestation begins again. The spray may not be as effective in cold weather. I evaluated Bed Bug Bully against five criteria to see if bed bug bully is actually worth your money. Bed Bug Bully is a product made by Optimal Chemical Inc, which is also known as My Cleaning Product. This is a pest control service company who have their own lab to create and test products. Some hotels and resorts have been using their brand since 2010. The company doesn’t seem to be very visible online reviews apart from on Amazon. It’s quite hard to find independent information on the reliability of the product or company. You can read more reviews on Top Consumer Reviews and Supplement Police. The official website claims to give a free sample and a 100% money-back guarantee for customers who are unhappy with the product. People do have success with these policies. You can read the vast majority of complaints on Amazon. The formula claims to target pheromone receptors and disrupt the mating rituals, which in turns leads to fewer eggs being laid. And, the natural oils are safe to use on your mattress and clothes. Scientific studies show that essential oils don’t have any significant effect on killing bed bugs. They may be antibacterial and work as a deterrent, however, they’re useless against bed bugs. This spray is easy to use compared to other products. You can start to use this within minutes of opening the packaging and preparing the area for spraying. Simply shake the bottle and spray the liquid into the areas where the bed bugs are hiding.Storage can be more complicated. The liquid can freeze and gets cloudy in colder conditions. You’re advised to store the container in temperatures above 16°C. If this does happen, you need to warm up the content before you can use it. Bed Bug Bully is safe to use around your pets and children. The natural oils are non-toxic and odorless. You can read more about the safety of natural oils here. The product claims that you can also spray your bed sheets and clothes immediately before sleeping or wearing them. The effectiveness of this product is difficult to say. Half of the users are happy and claim that it worked. The rest say that they were still alive after spraying them directly. A lot of people claim that Bed Bug Bully is a glorified snake oil. This is because the natural oils in the product lack anything that could actually kill the bugs. It’s also difficult to find any reliable information about the product. However, scientific studies have show﻿﻿n that the active ingredients in this spray didn’t have any significant effect on killing bed bugs. This suggests that, despite the success stories, the active ingredient are mostly ineffective. EcoRaider uses a liquid as a fast acting contact killer that uses geraniol. This is a non-staining spray but leaves a pungent odor around the house. You also need to use this weekly to manage the problem. 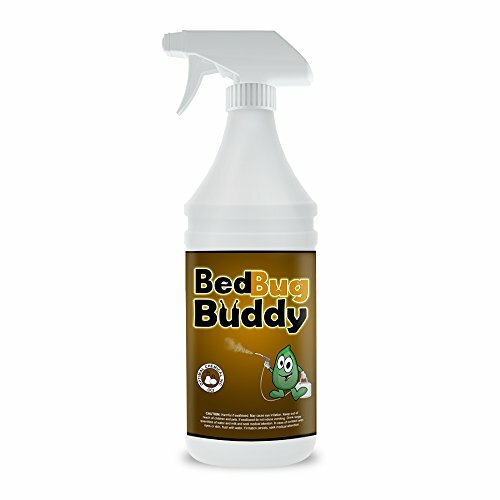 According to this study, EcoRaider killed up to 90% of the bed bug nymphs whereas Bed Bug Bully didn’t have any effect. These results are only if liquid makes direct contact. 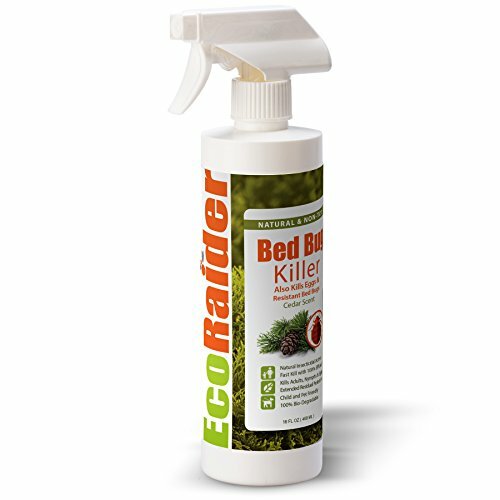 EcoRaider also leaves a lingering odor that can last for several hours after use, unlike Bed Bug Bully, which doesn’t have an odor. EcoRaider is a better killer whilst at the same time, it’s not practical to use in your house before you go to sleep. Harris bed bug spray uses an odorless liquid that you spray onto your bed or furniture. The active ingredient is deltamethrin, which works by destroying the bugs nervous system. Harris is a powerful product and claims to have long residual effects. However, recent studies have shown that bed bugs are starting to develop resistance against deltamethrin. This will make the product ineffective. The active ingredient still kills some that it comes into direct contact with, but it may not kill every single one. 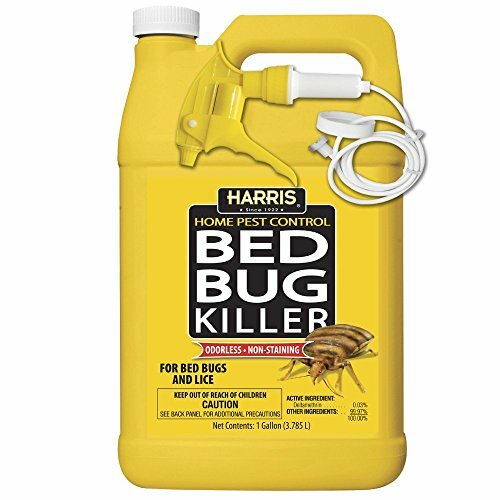 Compared to Bed Bug Bully, you’re probably going to have more success with Harris because the active ingredient can kill. At the same time, Harris is difficult to use and can lead you into a false sense of security. For a full review of Harris Bed Bug Killer click here. Overall, studies have shown that the natural oils in Bed Bug Bully are not effective bed bug killers. Some people do have success if they spray the bugs directly. Yet it’s very unlikely that it will make any significant changes to your infestation. Compared to other products, Bed Bug Bully appears to be a an "okay" product and results can be "hit or miss". We'd recommend using bed bug bully injunction with other bed bug treatments for a more integrated approach. Of course, we do recommend hiring an exterminator for all bed bug problems, or at the very least, consulting with one before taking matters into your own hands. Hopefully, this was a helpful review, stay tuned for more!